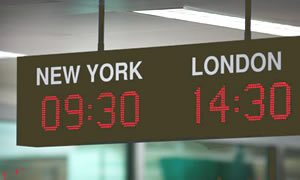 See the local time clearly and precisely in your trading regions, operational areas or countries of interest. NIL30 & NIL50 models (1-10 zones) can be user programmed to display two or three sequential zone times and location names on one or more zones. Multiple languages - you can easily program the abbreviated day-of-week and month to display in one of 21 different languages.